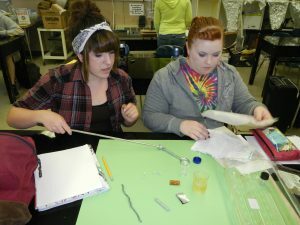 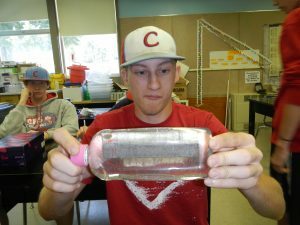 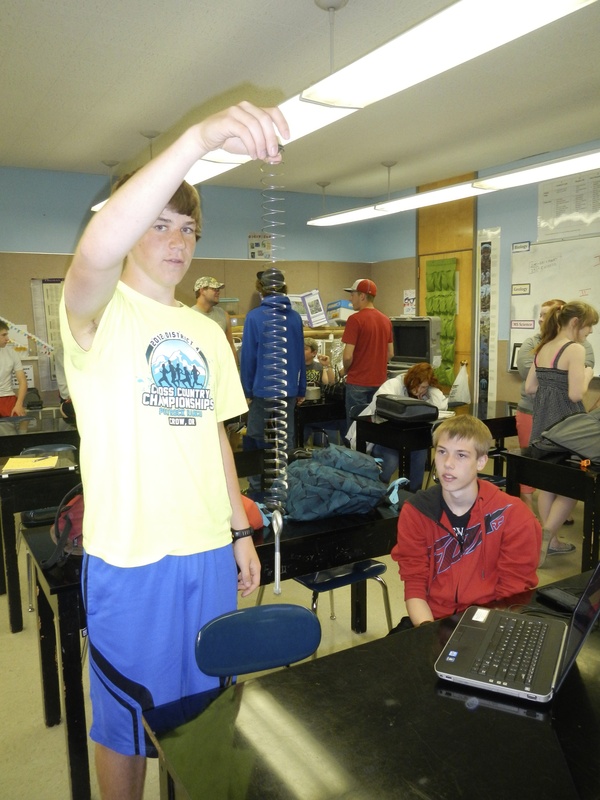 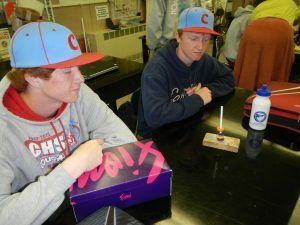 Lisa Livelybrook’s geology class at Crow Middle/High School in conjunction with University of Oregon’s Doug Toomey was the first of the Lane County schools to receive a Slinky Seismometer from Cascadia Initiative. Her students got to see first hand how a slinky seismometer is assembled and how it works. 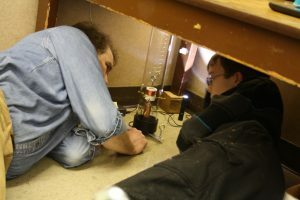 After completion of learning the components of the slinky seismometer, Lisa noticed that her students needed time to understand magnets more in depth, a large component in some types of seismometer. 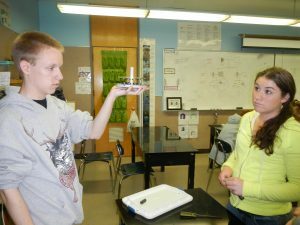 Each of her students, working in pairs, created a project using magnets to teach to a local elementary schools. 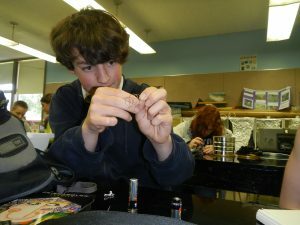 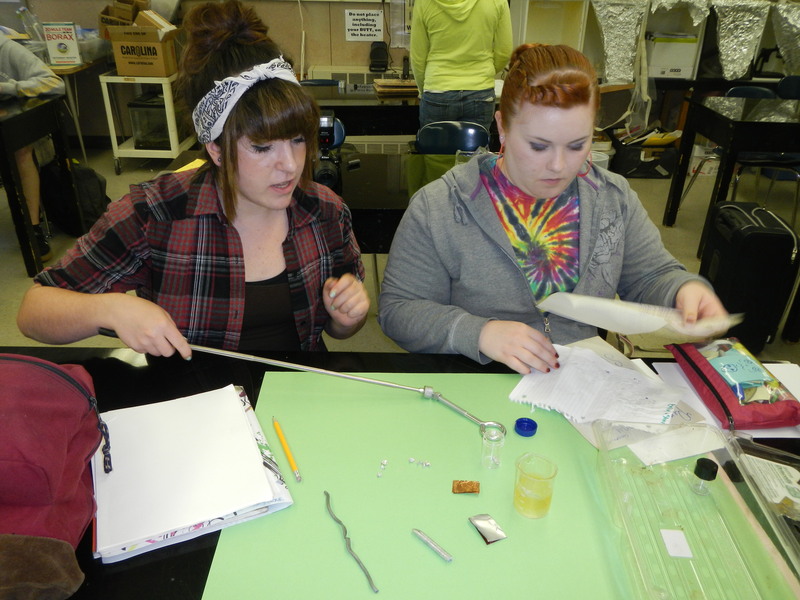 These projects focused on understanding the magnetic field or magnetic forces. 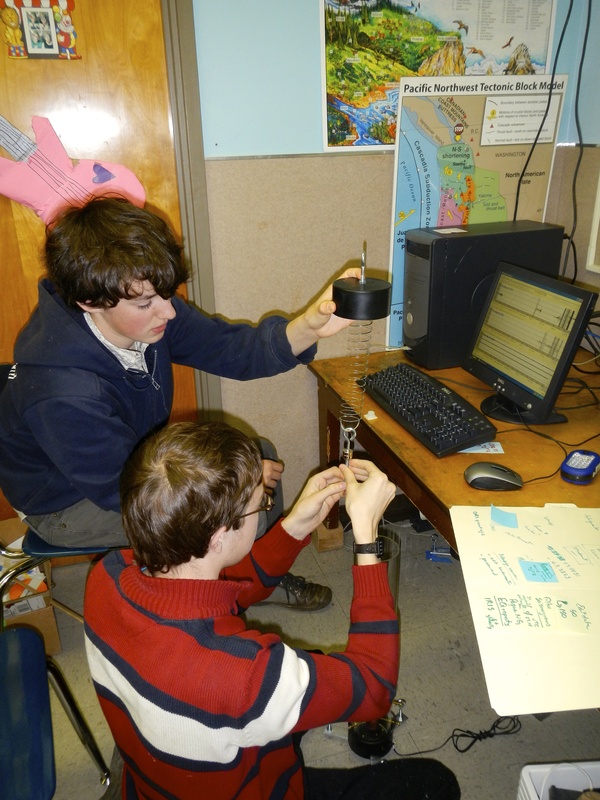 Upon learning how a seismometer works, her class learned how to interpret a seismogram. 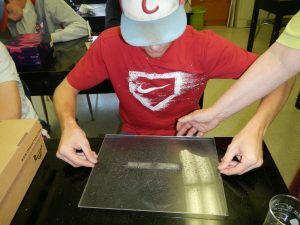 Her class read through the Seismogram Analysis website by Husebye and then filled out a worksheet to solidify their understanding, wrapping up a successful introduction to seismology. 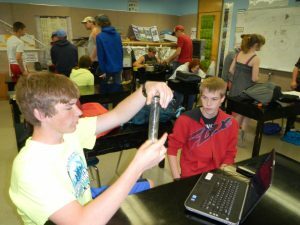 After installation of the slinky seismometer in her classroom, Lisa Livelybrooks is developing a new curriculum to teach students how to use seismology to understand the structural integrity of the schools of they are learning in.